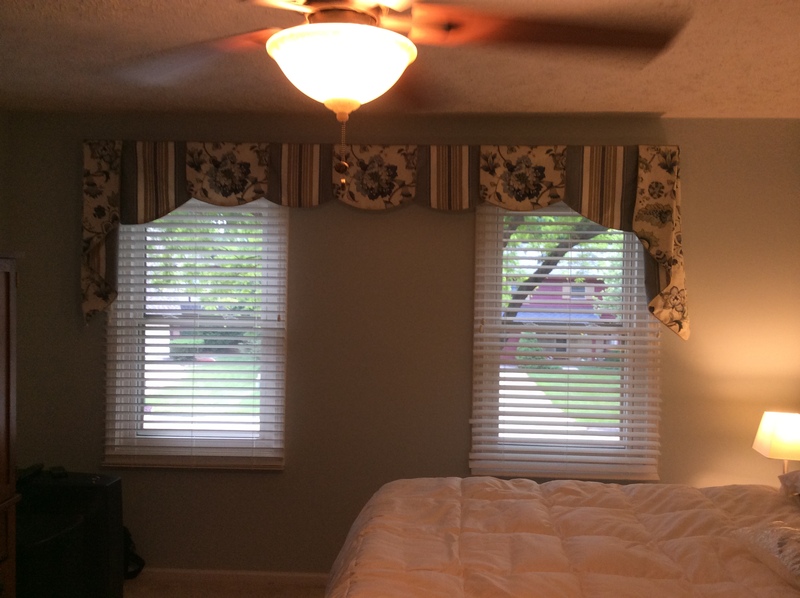 Cambridge Valance Over Wooden Blinds - Sew What? Sew Anything! - Sew What? Sew Anything! Using three coordinating Robert Allen fabrics are used to create a custom valance to add some color and warmth to a master bedroom. This Cambridge valance is installed over two windows. Alta wooden blinds are outside mounted on the windows to give privacy and sun control to the master bedroom.